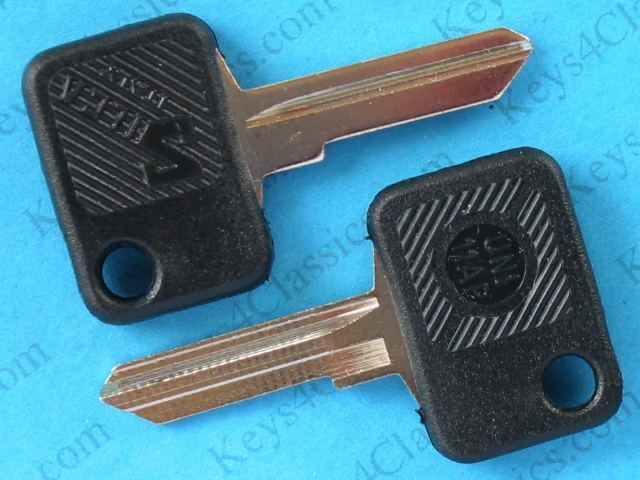 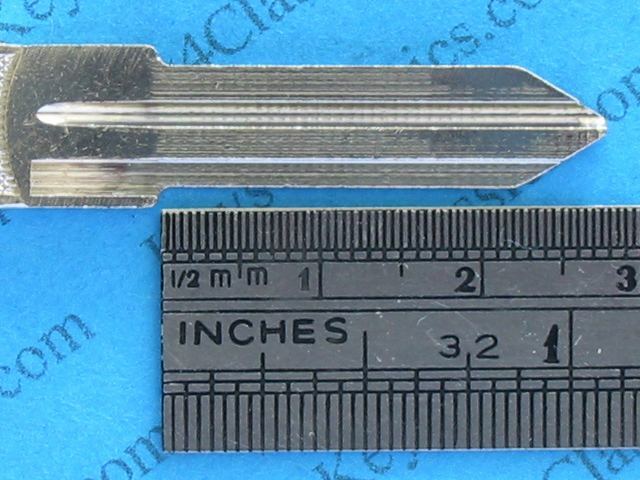 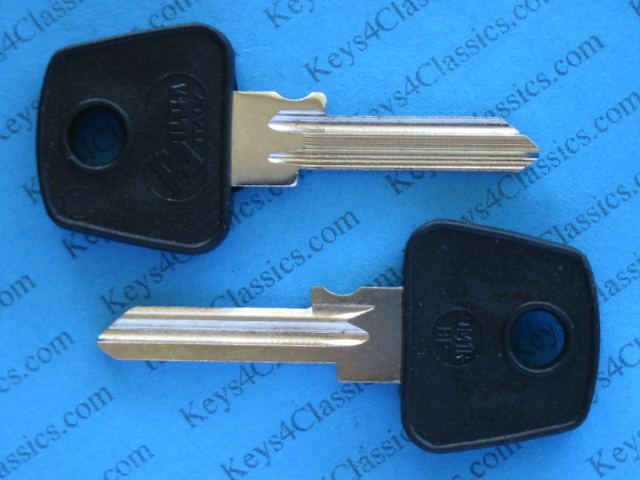 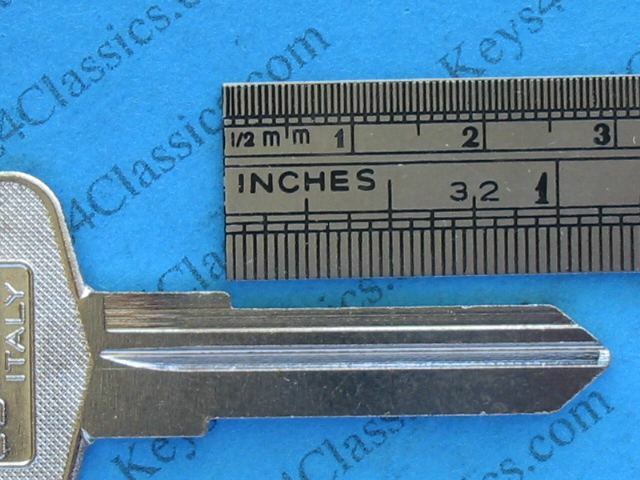 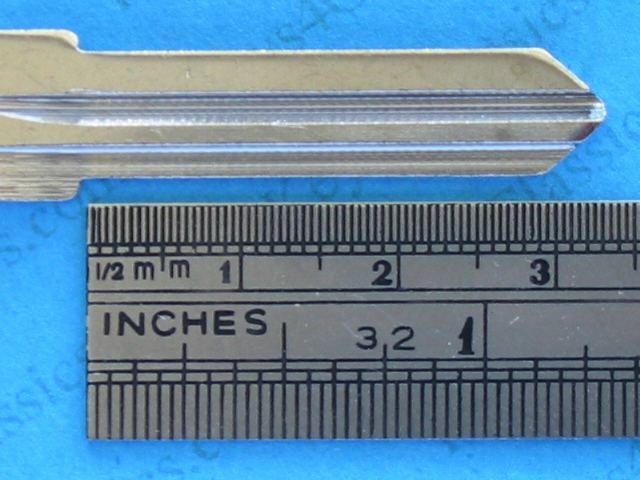 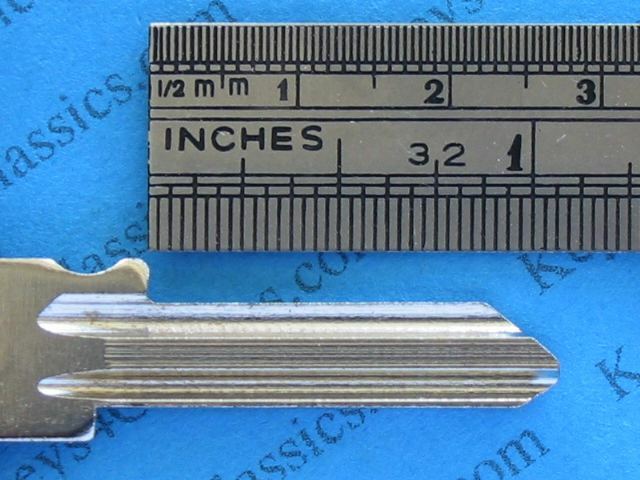 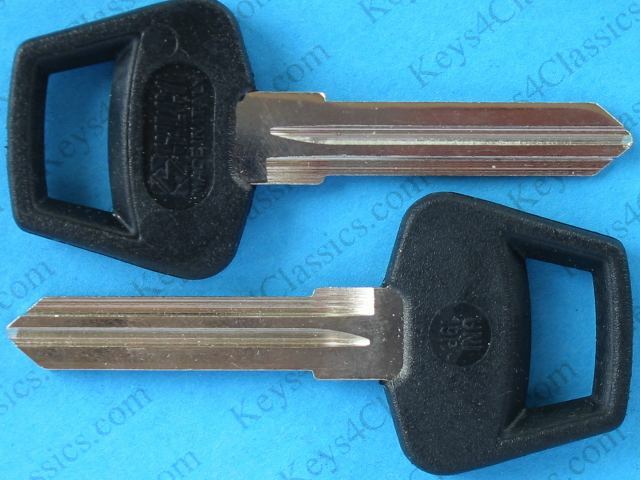 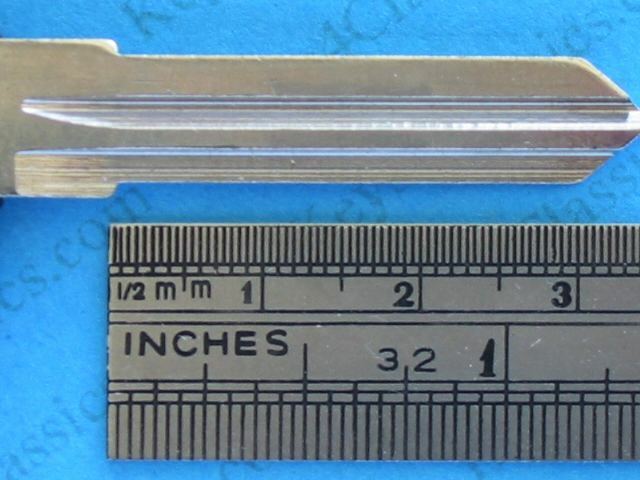 #086 DOORS etc - asame key as #185, #087, #101 - for more detail see here. 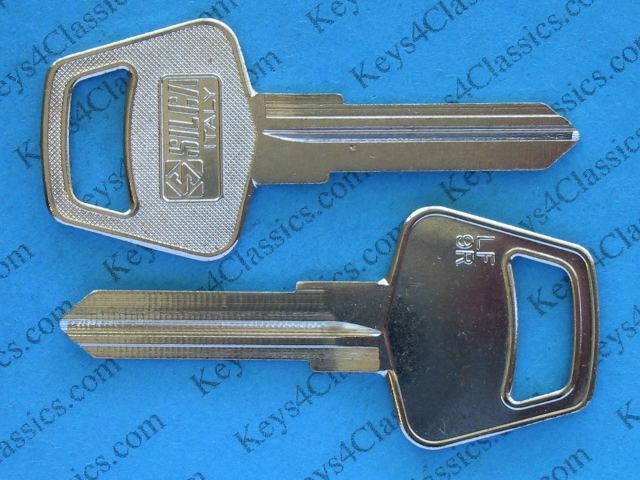 KEY CODE begins with FS (01-99 or 876-955). 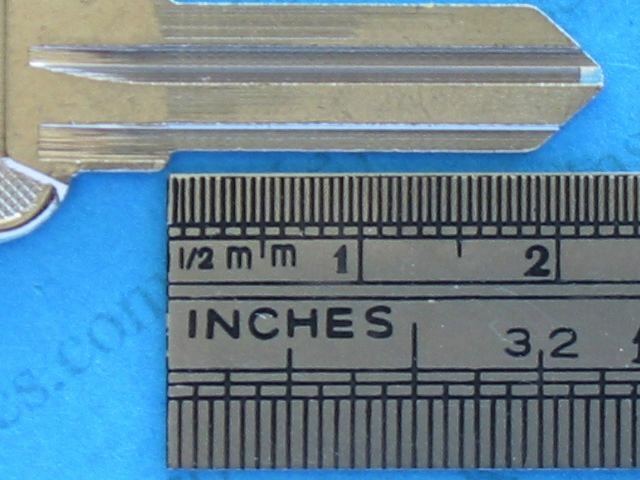 Hex head. 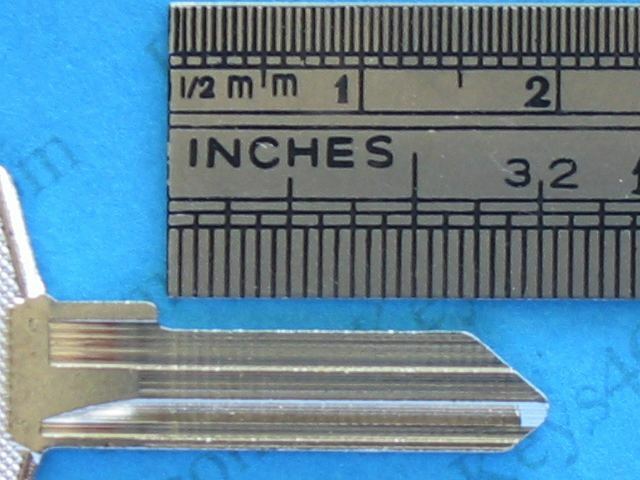 For alternative FS head shapes see below. 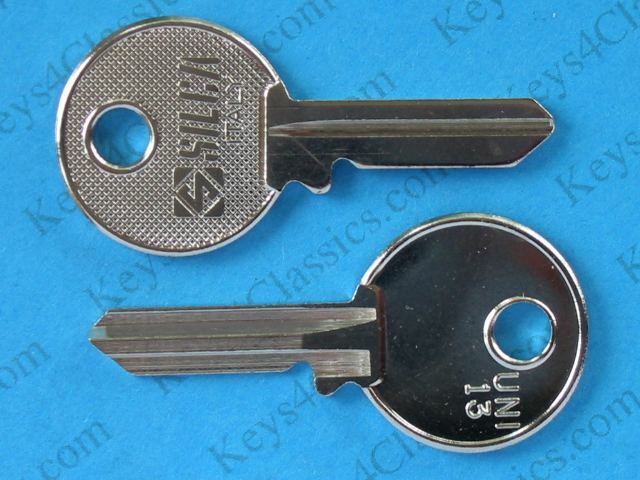 #087 DOORS etc - same key as #185, #086, #101 - for more detail see here and here. 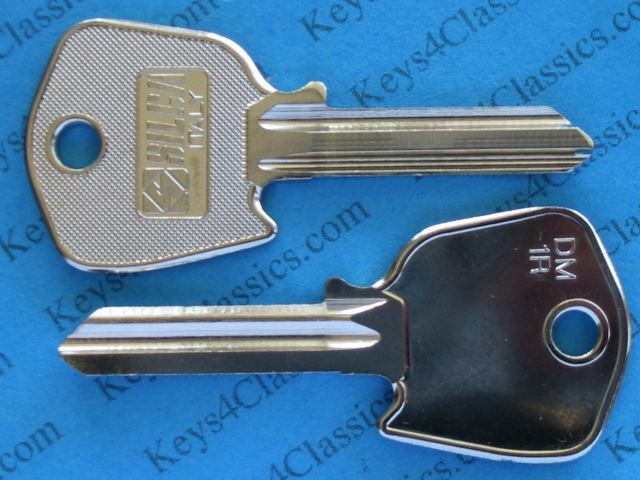 KEY CODE begins with FS (01-99 or 876-955). 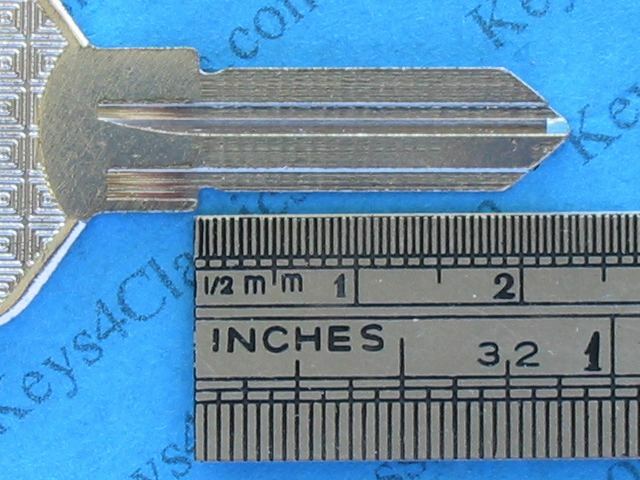 #101 DOORS etc - same key as #185, #086, #087 - for more detail see here and here. 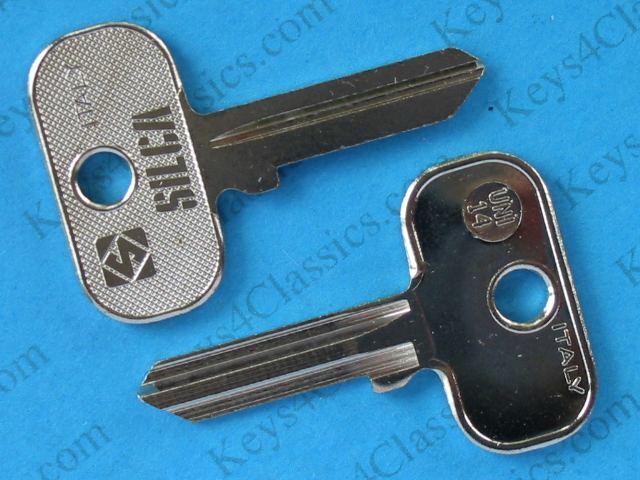 KEY CODE begins with FS (01-99 or 876-955). 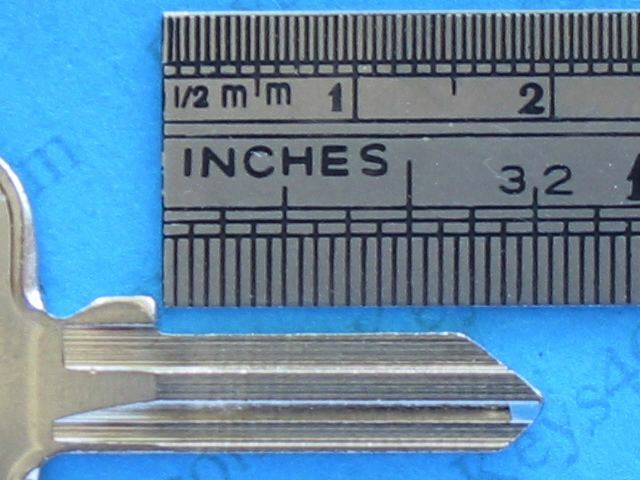 #302 DOORS etc - for more details see here and here (both sides). 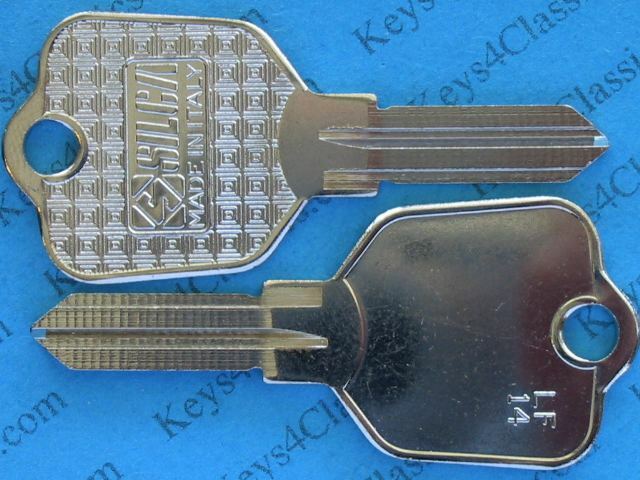 KEY CODE begins with FT , BC, CB or LF. 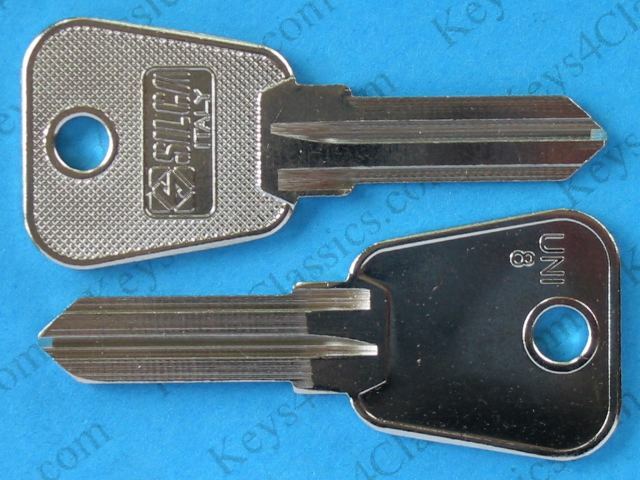 Same key as #091. 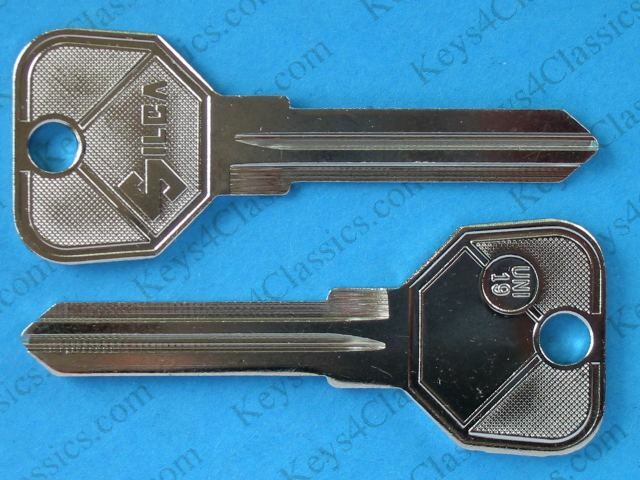 #176 IGNITION 1974+ For more detail see here and here (reverse side) and here (both sides). 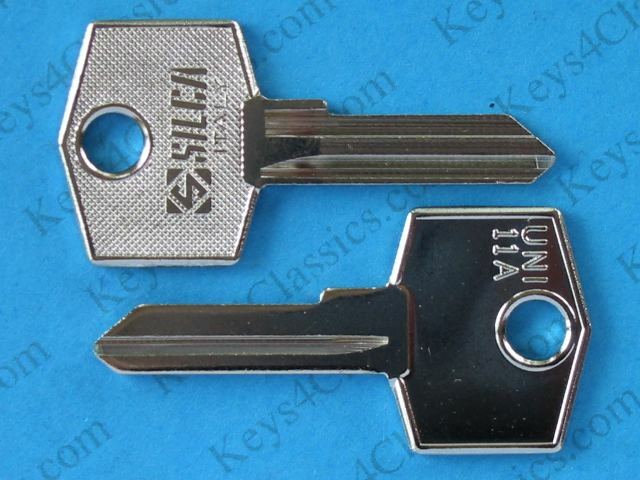 KEY CODE begins with WR (1001-2000). 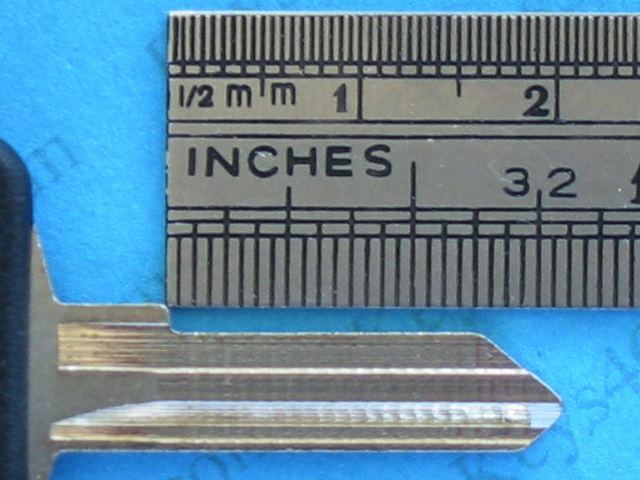 Note this is the only ignition key where the grooves are on the right-hand side (if looked at with tip downward).